May this season be whatever you wish it to be. For you, your friends, and your family. for now, and the whole year through. 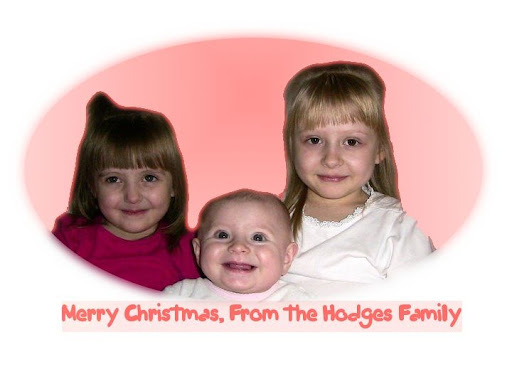 Merry Christmas to you, from the Hodges Family. What an adorable picture! How was Anniche's temple day? I wish we could have made it. Dell Remote Access This looks interesting. I've used software similar to this before, (I can't remember now what it was called), I might have to get this a try, the free features seem to be all that I would need to access a work computer's files from home (and even monitor the attached webcam). --Thanks Dell!